Basic Ukulele Chords for Beginners | Zing! If you’ve never played any musical instrument, learning ukulele can be a scary prospect. 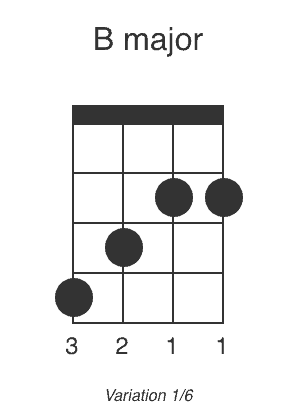 A natural first step is to learn some chords. So here goes. 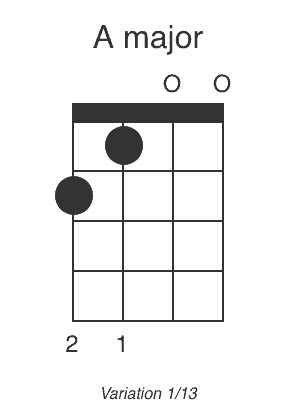 Before we look at some ukulele chord charts, let’s quickly cover off what the symbols mean so the charts make sense. 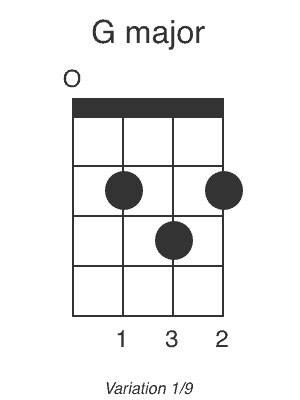 See the D Major diagram below, as an example. The four vertical lines correspond to the four strings of the instrument. 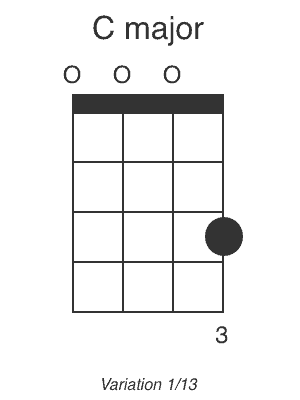 The black dots tell you which notes you need to press down to play that chord.​ Where you see an ‘O’ sign above a string, that means you shouldn’t sound that string. 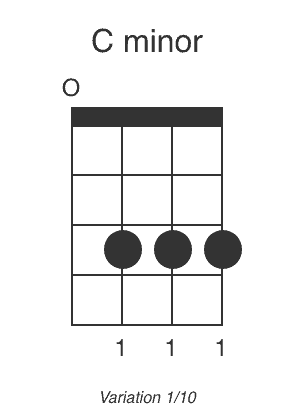 Where you numbers below the strings, these refer to the fingers you should be using to play these notes. In this case, your second finger should play the first note, etc. 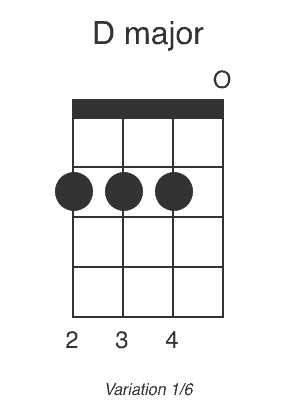 We’re now going to look at the basic chords: these are the major, minor and seventh chords. 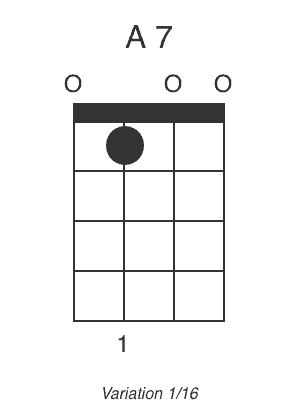 The ukulele has seven major chords, plus half-step chords (e.g. C sharp) not included here. 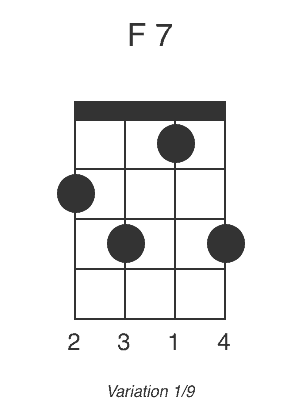 All these chords (except for B, which tends to used a bit less) are used in most songs, so try to learn them all. If you want to pick off three to begin with, go for C, G and D.
Once you’ve learned those, now move on to these. Unlike the major chords which make songs sound happy and up-tempo, the minor chords give songs an intimate, somewhat sad feel. 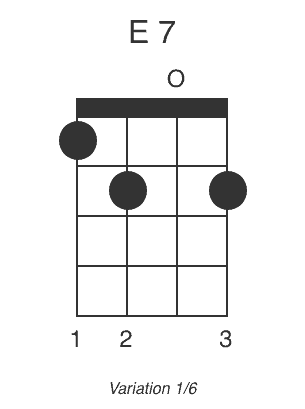 Also, like the major chords, some minor chords are more important than others. 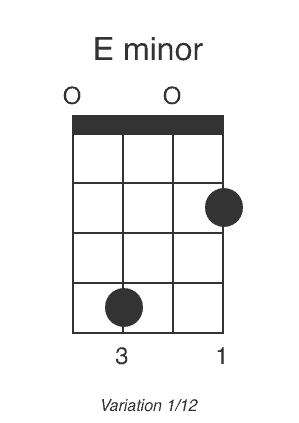 The most common minor ukulele chords are Am, Dm and Em. 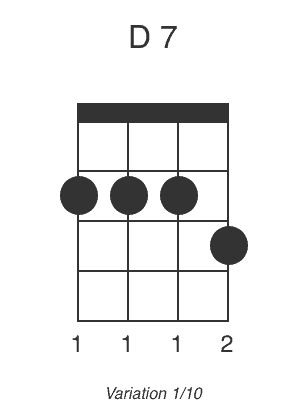 The 7th chords are very important. In fact, they are just as important as the major and minor chords. They are mainly used to give a song a harmonious feel. It is, therefore, no accident that they are commonly used in soul and jazz songs. 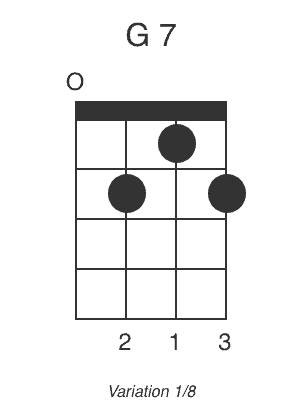 It is important to learn all of these but like major chords, some are more important than others. 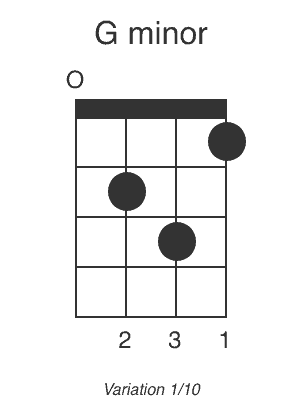 For example, mastering the F7 chord is more useful than mastering the B7. 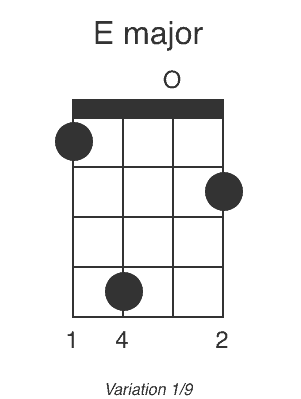 Here is a look at some of the most common 7th chords that you need to know. 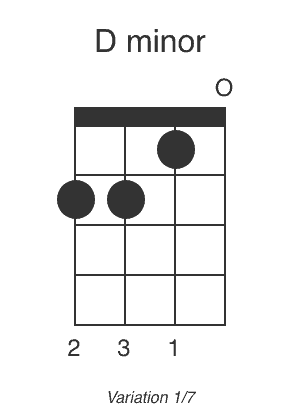 The best way to master these chords is to set aside some practice time daily, preferably 30 minutes to 2 hours. That’s more effective than setting aside half a day per week or a whole day after every two weeks for practice. You cannot learn everything in one go. Attempts to learn everything in a day or two only breed frustration and eventually giving up. 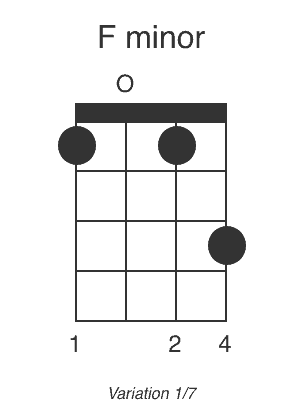 A better way of approaching the practice is to learn a chord or two per day. 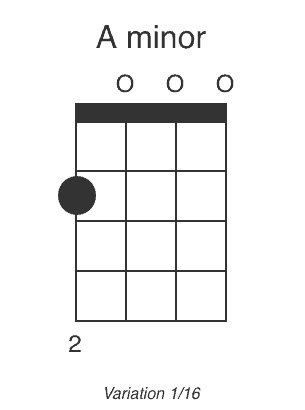 Repeat the chords until you can play them without thinking before moving on to the next chord. Always practice your chords when your mind is fresh. The brain generally retains more materials when fresh than when it is tired. For most people, the best time for such practice is usually in the morning. However, you can also practice at other times of the day as long as you are not sleepy or tired. Practicing while looking at your fingers places severe limitations on your quest to perfect playing ukulele chords. To avoid practicing with your eyes on your fingers, it is advisable to practice at night or in a room without visual input. When you practice in the dark you are forced to hear and feel the notes instead of seeing them. Before you begin your practice session it is important to warm up. One way of doing this is to stretch your fingers for two to three minutes. Thereafter, run some scales just to get your fingers ready for the practice session. 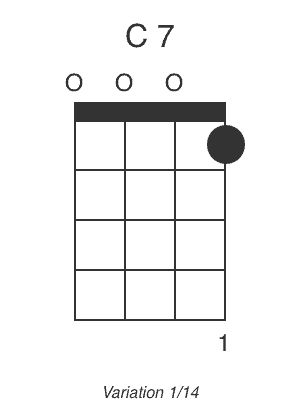 For beginners, the biggest challenge is switching between chords. In fact, most beginners give up for this very reason. It’s no surprise; it needs coordination, muscle memory, finger strength and great concentration as you will have to move 2-4 fingers to another place while still pressing down the strings. This, however, shouldn’t scare you. Learning to change chords is like learning to drive a car. Your first attempt usually ends in misery and frustration. You need to keep your eyes glued on the road, the right foot on gas, your hands managing the steering wheel while at the same time having another one free to change gears. However, before you know it, all these things become almost second nature and you are able to carry them out without even thinking. That is how chord changing is. What seems impossible at first, with practice, becomes second nature. 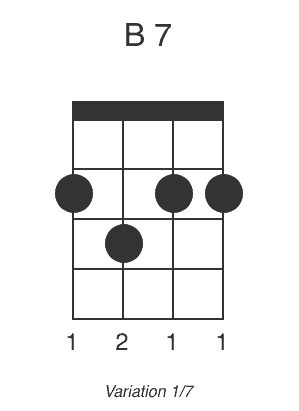 There are many simple methods of chord changing. Here is a look at some of them. The pivot method is the simplest way of getting your fingers to move to the right spot quickly. In this method, one finger first moves and then other fingers move one by one to the right spot by pivoting around the finger that moved first. Usually the first finger moves to the lowest string then the others move around it one at a time. 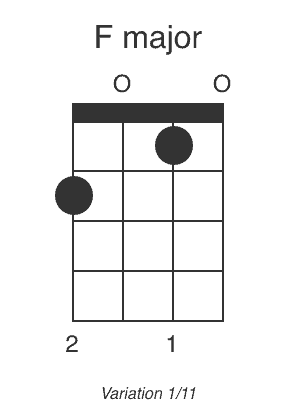 Using this method, you first form the chord’s shape and then strum it once. 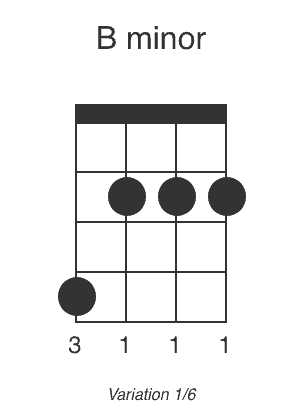 Thereafter, you take your fingers from the fretboard without changing the shape of the chord. Finally, you return the fingers to the fretboard. Repeat this process as many as ten times to gain effective muscle memory. It might take as many as two hundred attempts to become perfect at chord changing so keep on practicing as many times as possible. 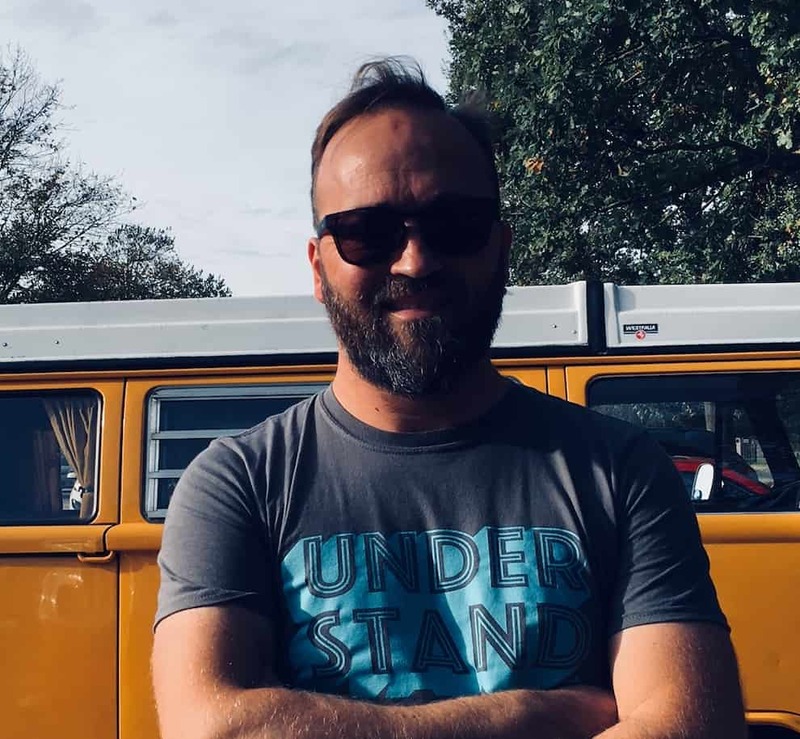 Hopefully, you found this article helpful. 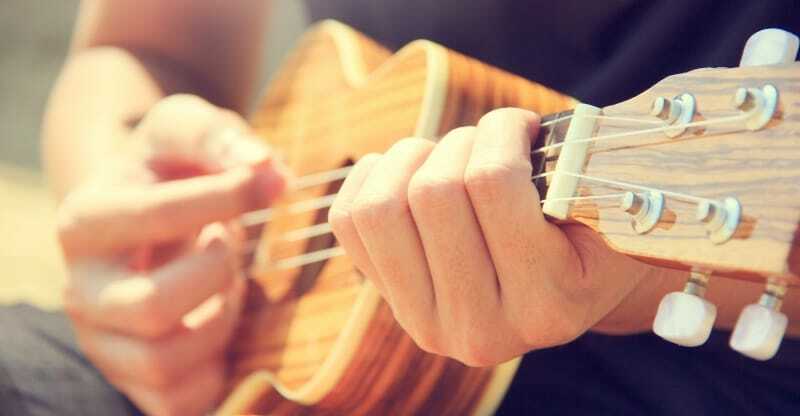 With consistent, deliberate practice, you’ll be playing the ukulele. Just have faith in the process and carry on however frustrated you feel, it will be worth it in the end.